Fold the tip down to the bottom edge. 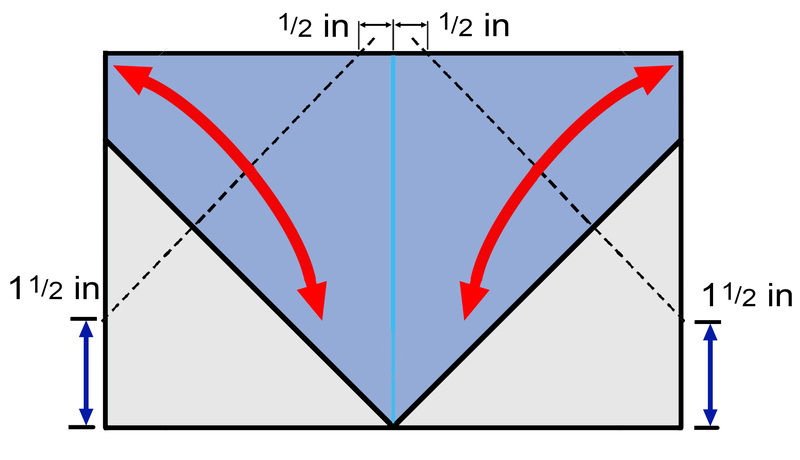 Use a ruler and pencile and draw the folding lines as shown. 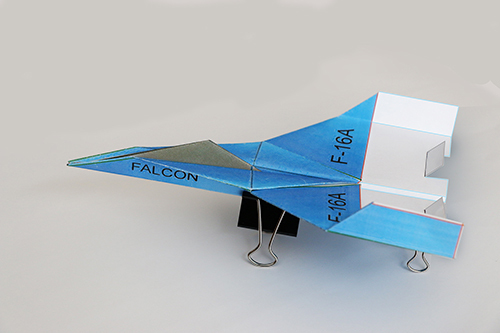 Fold and crease and unfold. 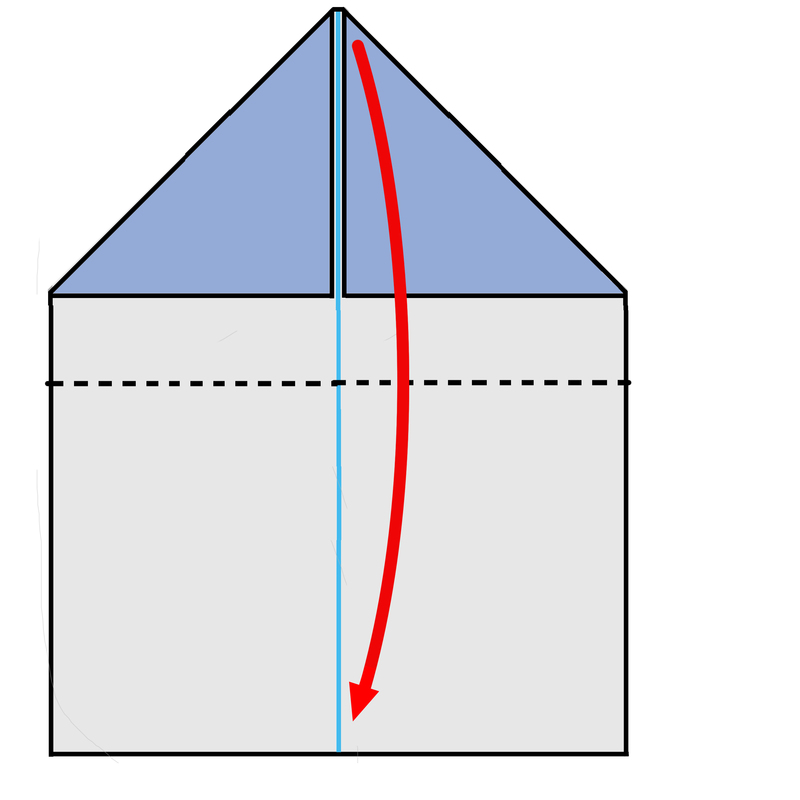 Push the right corner to make an inside reverse fold. 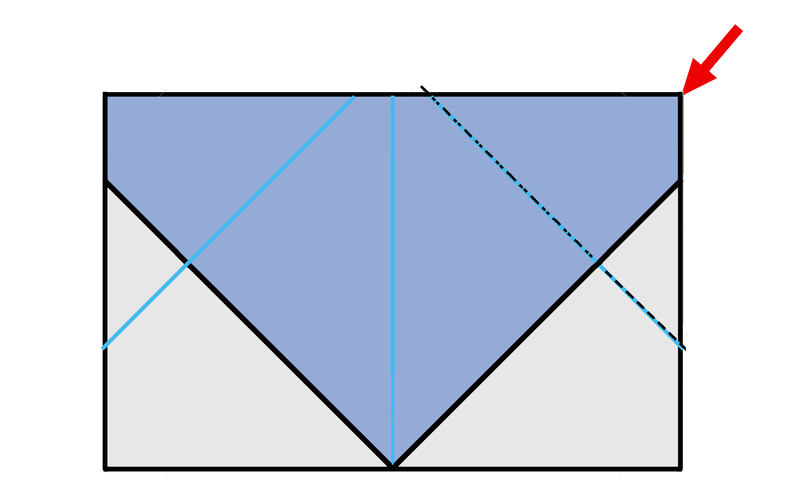 Repeat the same folding for left side. 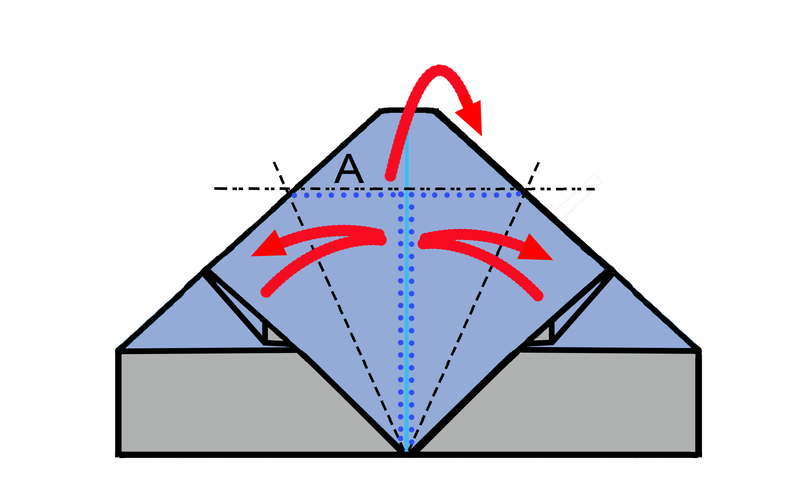 Fold both flaps toward the center crease and make a mountain fold at the top section along line A. Unfold both flaps. Pull up the top layer tip while pressing the base part. Fold sides in and flatten the nose section. 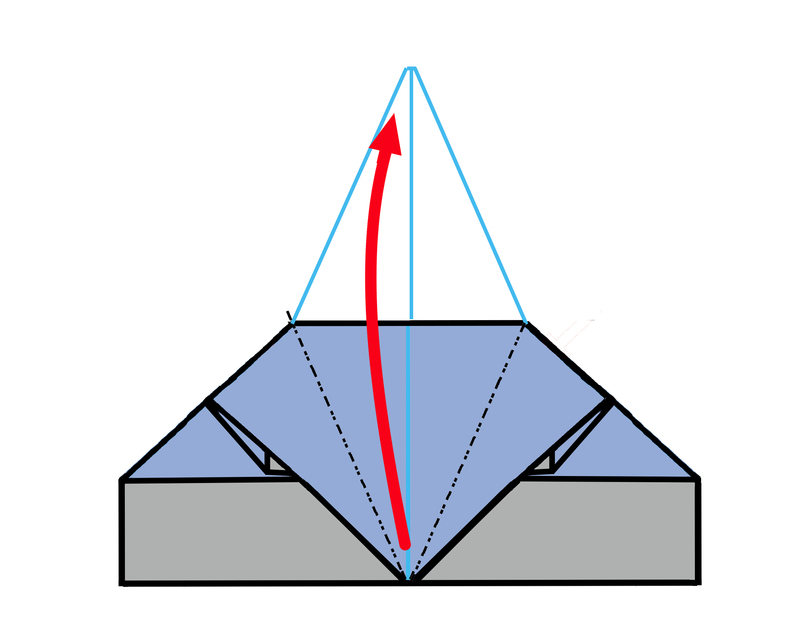 Pull out a triangle cockpit flap from the leftside of nose section. 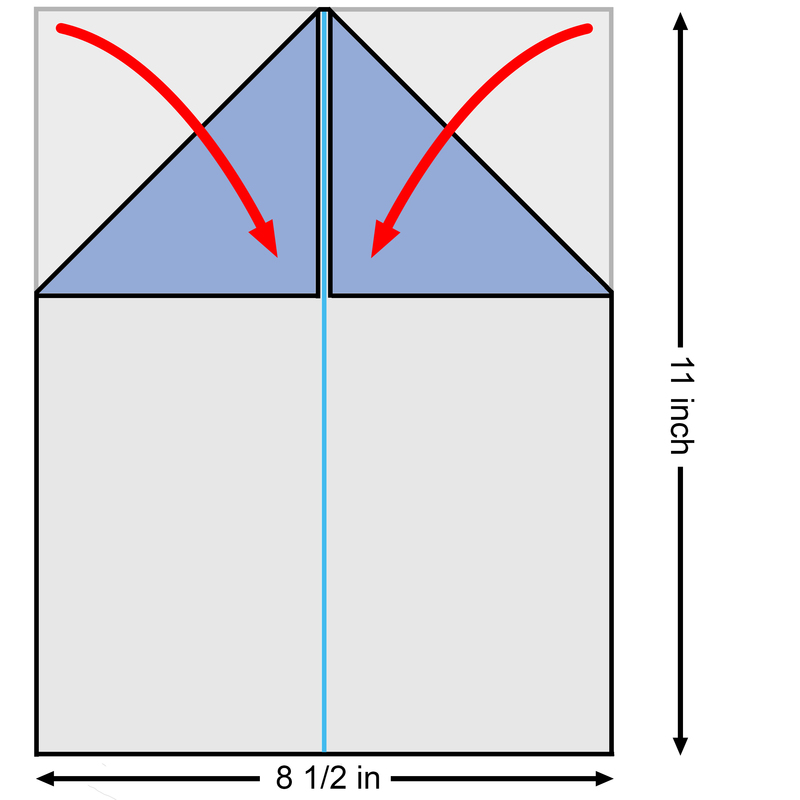 Fold the flap toward left along the center crease. 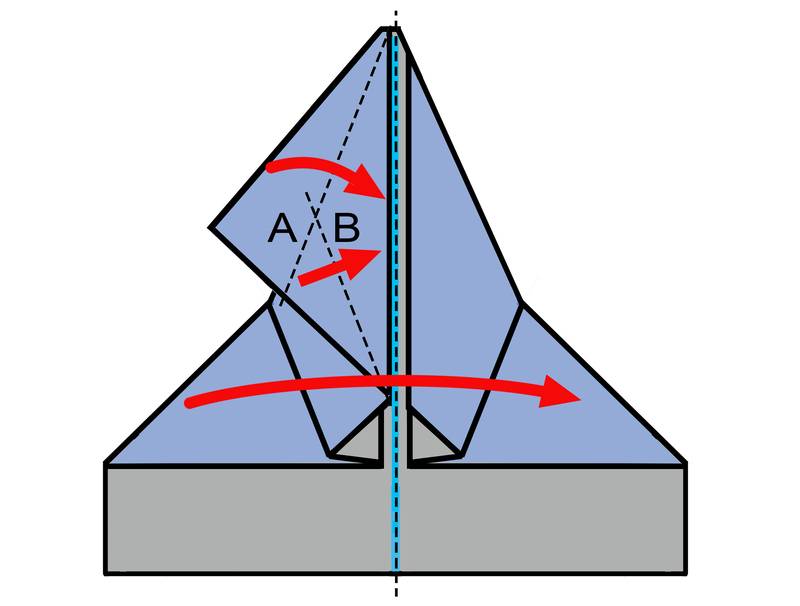 Make two folds along line A and B. This part is cockpit of the fighter jet. 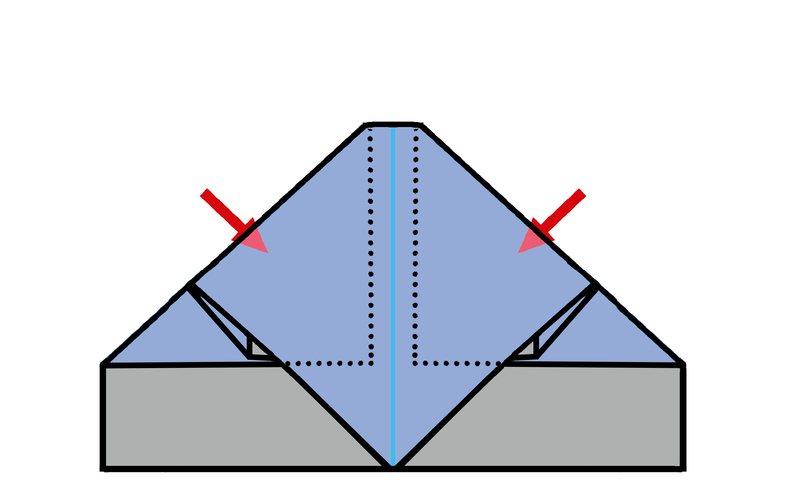 Fold down the wing section. 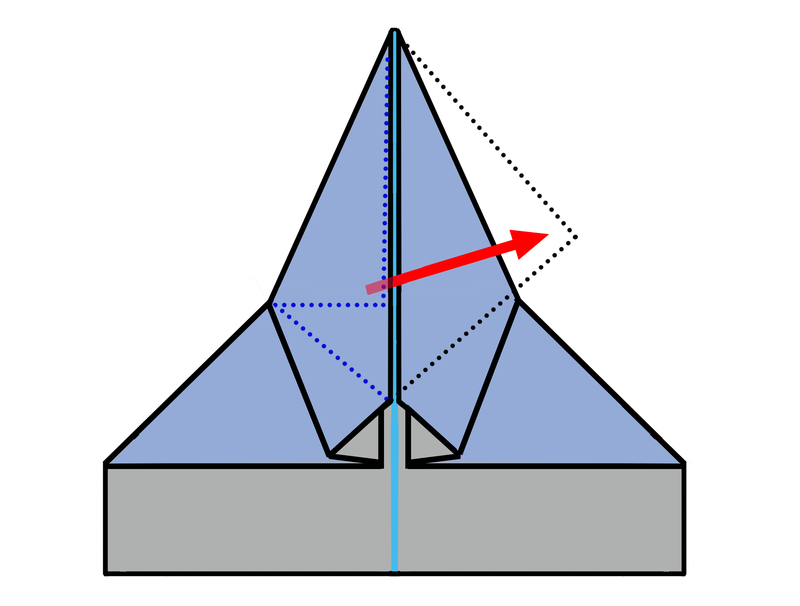 Fold the wing tip as shown. 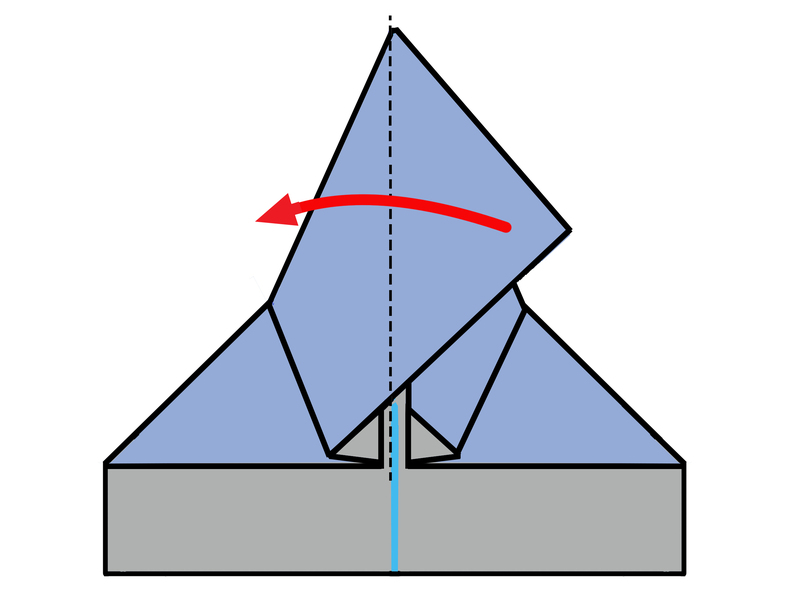 It is a mountain fold. 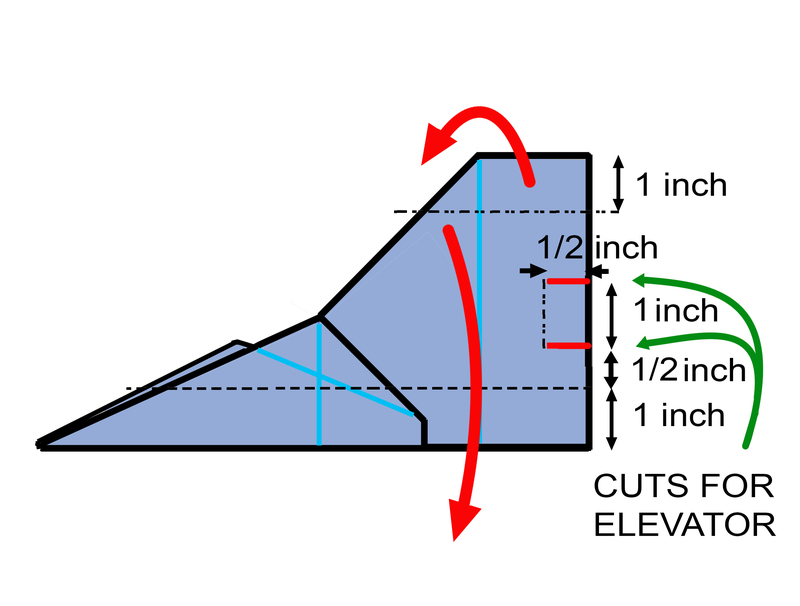 Cut the elevators at the trailing edges as shown. 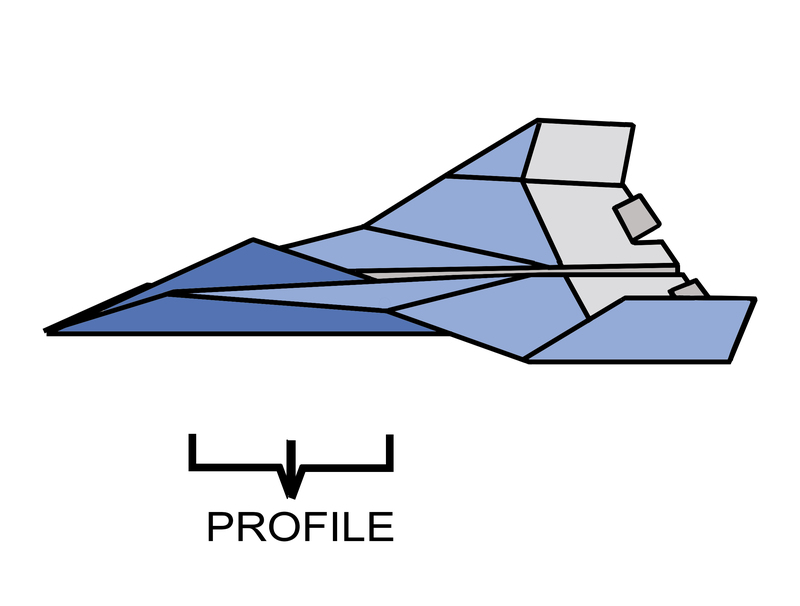 Adjust the model to match the front view profile. Bend up the elevators for better lift. The plane is ready to launch. Copyright © 2019 by Kyong H. Lee. All rights reserved.